Due to the popularity of Sunday's post, where I make a promise to talk about the ingredients in my avocado deep conditioning mix, I figured I would jump right into it and discuss one of the key ingredients, jojoba oil (pronounced ho-HO-ba). 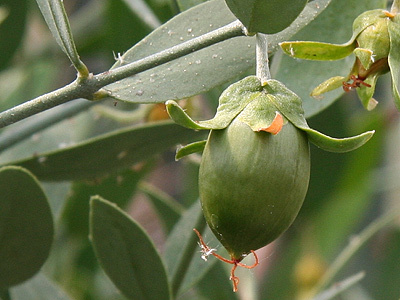 Jojoba oil is actually a liquid wax produced in the seed of the jojoba plant (Simmondsia chinenis), a plant which is native to Arizona, California, and Mexico. I call jojoba oil liquid gold, not only because of it's multifaceted and glorious benefits, but also because its color is a clear golden one. One of the most talked about benefits of jojoba oil is that it highly resembles the natural oil produced by our skin and hair, which is called sebum. This is great because when our body absorbs jojoba oil, it mixes easily with our natural sebum, and this actually tricks the body into "thinking" that the jojoba oil is the sebum. Consequently, the body will produce less sebum, which fortunately means less clogging, less acne, and more oil balance. #Winning. Though jojoba oil is a little on the pricier side, it could be found in most beauty supply stores, health food stores, and of course online. I like to buy the 100% natural form from Trader Joe's for about $6. Here's a jojoba oil option on Amazon! can cure mild acne and get rid of various skin infections such as eczema, psoriasis, etc. Make-up remover: This is my favorite way to use jojoba oil. I just put a few drops on a cotton swab to remove my make up. Even though it takes longer to remove makeup with in comparison to a traditional make-up remover, jojoba oil is cheaper, more effective, and natural! Have you ever tried jojoba oil? I'm going to try this as a make-up remover. Thanks for the information! 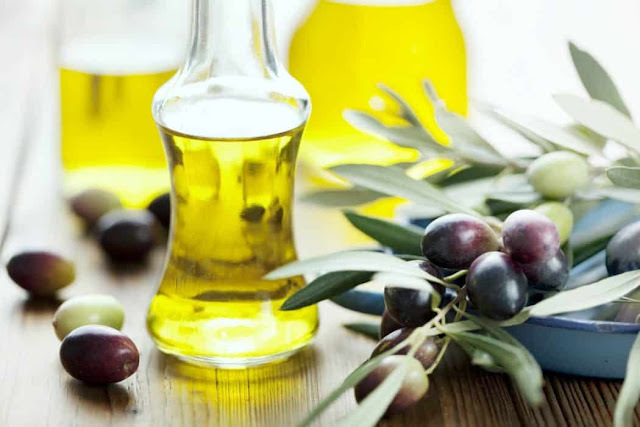 I love, love , love Jojoba oil! it has completely transformed my acne prone skin and is now a staple in my home. I use it from head to toe, literally!